With any commercial property, waste can build up over time and cause disturbance to your business. Here at G.H.S Recycling Ltd we provide a Portsmouth commercial waste service that will help all businesses to keep on top of their waste, as well as complying with rules and regulations. Disposing of commercial waste can be difficult for anyone as it is time consuming and at times, expensive. The commercial waste service that we provide will save you time, money and worries when it comes to recycling your unwanted or unused waste. From the experience that we have gained in our 30 years of operating, we have improved the services that we offer and we recycle much more. 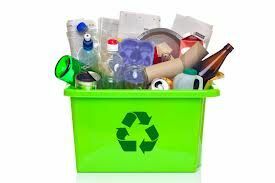 As a family run business, we are passionate about recycling unused materials and we have found that the material with the highest recycling demand is white paper used in offices and many businesses. Our company recycles many materials, and of course, we always fit our services around your business. Collection times can be arranged to suit your needs, and we offer one-off or regular collections, for businesses that need more frequent collections. Our priority is you. The services that we provide are designed to help your company to comply with the Data Protection Act 1998 and recycle your Portsmouth commercial waste to help protect our environment. Collection lorries will drive to your property, where they will load your waste and transport it to our facilities. We promise that your data will always be kept protected from the moment it leaves your property. With all our services, we offer regular or one-off collections. If you are unsure of our services, we are happy to provide a one-off collection, and if you choose to have regular collections this can be arranged to a time and frequency to suit you. Our collection lorries are all secures and materials are always attended or kept in a secure area. We will always go the extra mile to ensure that your data is kept safe. When your data arrives at our protected facility, it is stored in one of our secure rooms. Cameras monitor secure locations and our staff have all signed a confidential agreement; and wear a uniform that identifies them as trusted members of staff. Here at G.H.S Recycling Ltd we always ensure that we employ staff who understand the importance of keeping your data safe, and we will never put your data into a dangerous position. As our services are designed to help your business, you can always expect the best services, and we strive to provide 100% customer satisfaction. By using our services, your business will be complying with the Data Protection Act 1998 and through our recycling, we are able to help the environment and reuse resources. We promise to always be here, to help you out. Collection times are arranged to suit you, your business will always come first.